Sanaa, Sanaa…* | Hapa...Shot the Food! During the next-to-last weekend in August, my brother and I met up with my sister in Orlando, FL. 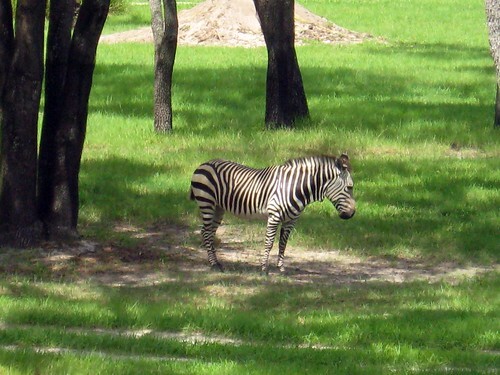 She’s a huge Disney fan and also a member of their Vacation Club, so we stayed at one of the Disney Resorts: The Animal Kingdom Lodge. She’s normally stationed in Japan and was stateside for a short time, so it was easier for all of us to meet her there instead of having her hop from place to place. 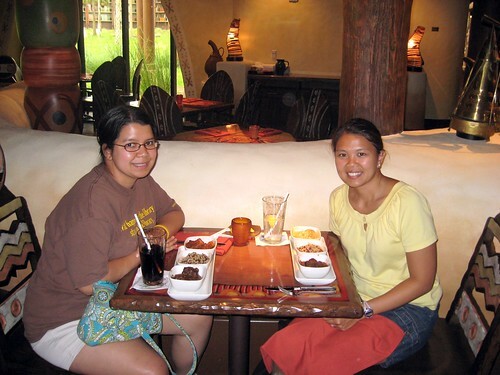 Before heading home, my sister and had a huge lunch at Sanaa, an African-Indian fusion restaurant located in Kidani Village. Don’t confuse it with the Yemeni City. To start with, we had the bread service where you can have your choice of three breads paired with your choice of three sauces. We went for a double order of naan (a generally leavened flatbread cooked in a tandoor and served brushed with ghee) and paneer paratha (a stuffed, unleavened South Asian flatbread). 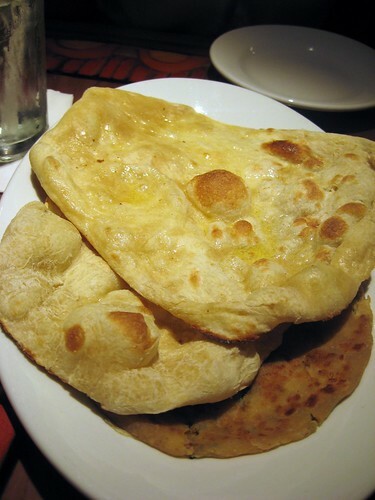 Might as well face it…you’re addicted to naan… (with all apologies to Robert Palmer). 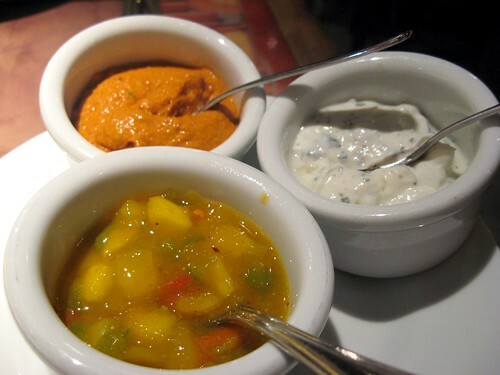 We ordered roasted red pepper hummus, cucumber raita (a yogurt-based dip), and mango chutney to go with our flatbread. 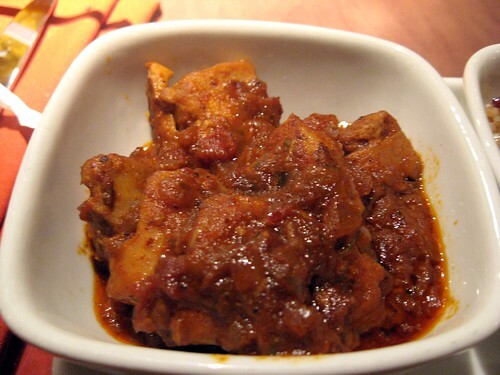 Loved the mango chutney… it was sweet with a kick. The raita was as cooling as most I’ve had. The hummus was OK, but my least favorite of the three.. 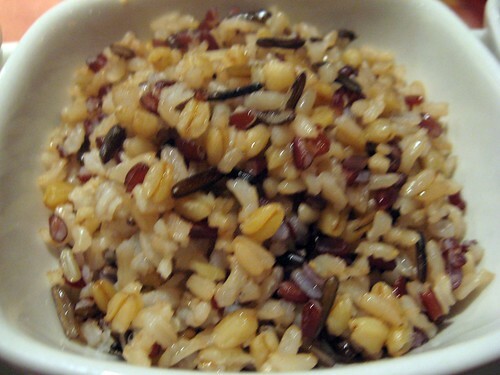 The pilaf was colorful…not to mention tasty! I ordered the chicken with red curry sauce for my other entree. 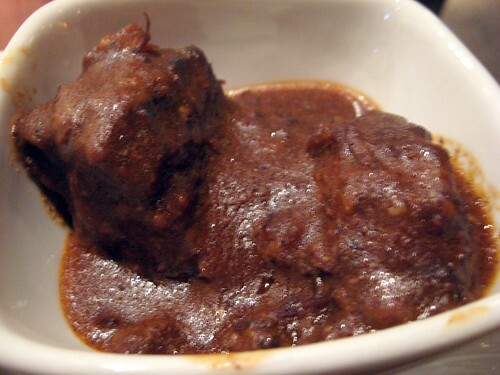 I was taking a bit of a risk since I generally don’t like things too spicy, but this dish was actually mild (as well as flavorful). 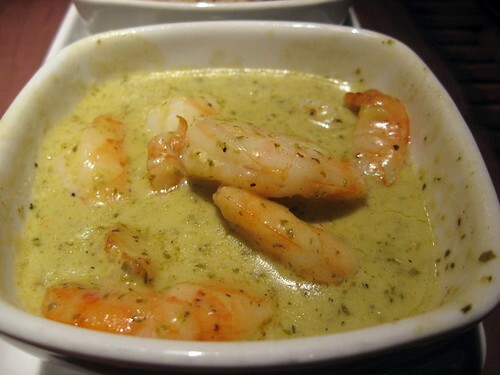 My sister’s other entree was shrimp with green curry sauce. Perhaps the sauce had coconut milk or yogurt, too…? 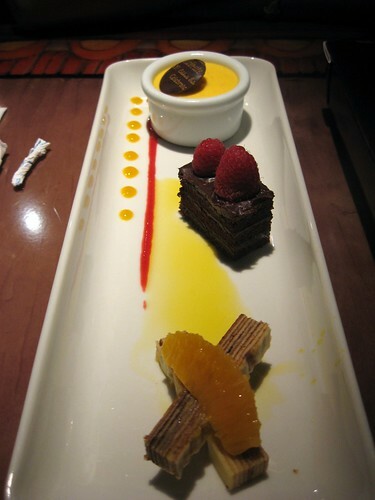 Since both of us couldn’t decide on a single dessert to have, we split a dessert sampler, which contained mango pudding, eggless chocolate cake, and cardamom-butter cake. 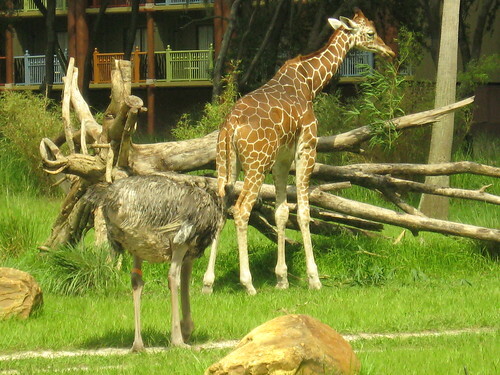 Posted on September 12, 2009, in eating out, travel, Uncategorized and tagged African, Animal Kingdom Lodge, Disney, Disney World, fusion cuisine, Indian, Naan, Sanaa. Bookmark the permalink. 2 Comments. Nom, nom, nom! Why didn’t I see the rice pilaf on the menu? 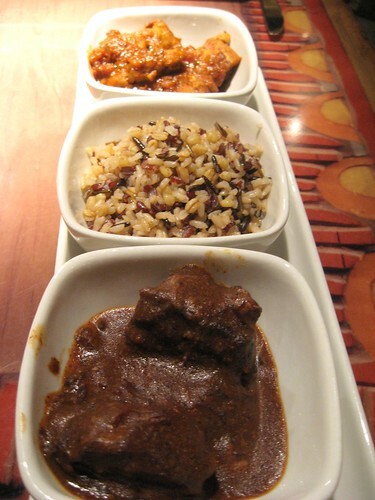 I had stupid white rice with my short ribs for some reason… hmph… 😉 I think Sanaa’s going to fade a bit compared to the Animal Kingdom Lodge’s other dining offerings, but it’s perfectly fine with me if it becomes a quiet spot that always has a table available. And a wine flight. Don’t Worry, AJ… I probably wouldn’t have caught the pilaf as an offering myself it weren’t for my sis… Who knows? 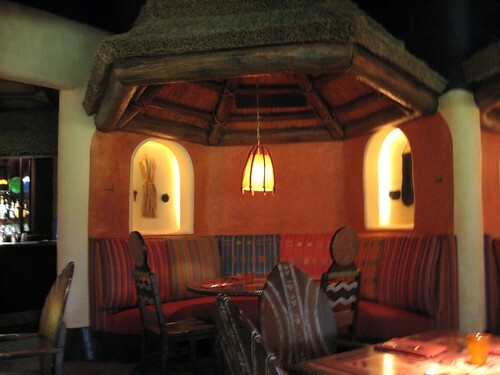 Thanks to its relative distance to everything else, Sanaa might end up on the updated “Best Disney World Restaurants Without A Reservation”…and that is fine by me. I like the way the food is presented. And paneer paratha sounds interesting. I’ve never had that.